The surprise of receiving beautiful flowers is a joy in itself. But which is the best arrangement to give? Selecting takes a little time, so we listen to your requirements and then provide the best floral solution for your situation…saving you both time and money. You can order online and we offer very reliable delivery. We are open 7 days and ready to deliver to any destination within Melbourne metropolitan area. Whether it be a gift, a fruit basket or an arrangement that includes wine or chocolates, you’re sure to find the best arrangement at the best price. Of course, we cater for individual requirements as well. Aloes Florist always puts its customers first. We pride ourselves on exceptional customer service, assisting our clients with all of their fresh flower needs. Please browse our online floral selection. 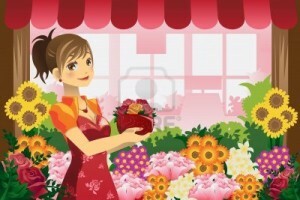 If you are unsure about the type of flowers you are looking for, please contact us. We can provide the arrangement you need at the right price!